The Three Wise Men or the Magi came from far and wide to seek the infant Jesus. It was almost like an United Nations of sort when they all came together that day. Three scholars and Kings offering gifts to a child that they knew and we all know is the King of Kings and the Lord of Lords. Scholars still question however when they actually reached Jesus. But I hope now we have a better understanding of who they were. 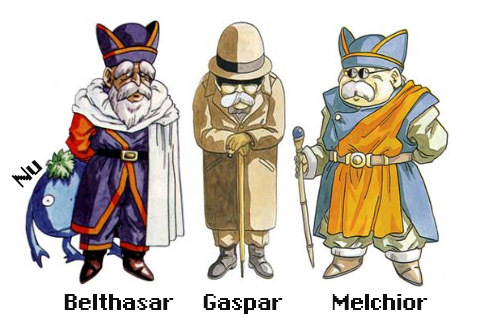 Also, I would hope that it gives you a better understanding of the characters from the game Chrono Trigger. If you haven’t played it you should definitely check it out. Heavenly Father, I want to thank you for allowing me to see how deep a simple game can be. To take me down the rabbit hole to know about your son and my King’s history. I can only hope that I educated someone with this today and that I can teach more and better in the future if it’s Your will. In Jesus name, Amen.